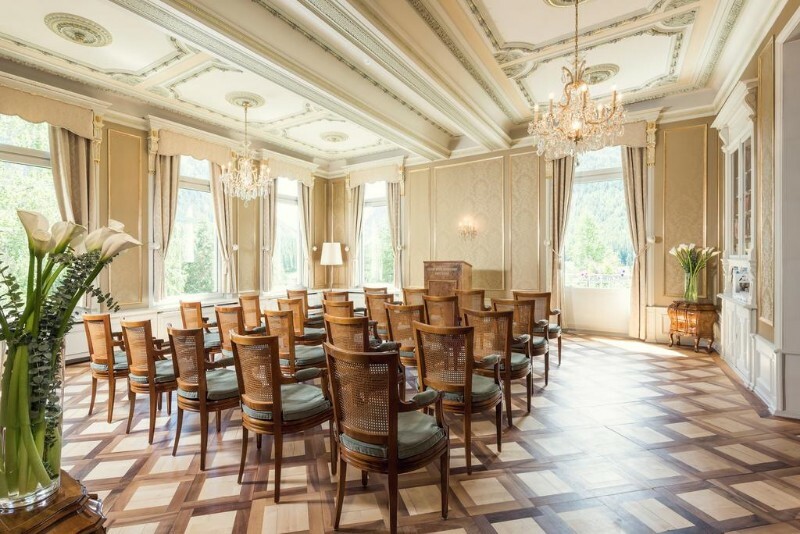 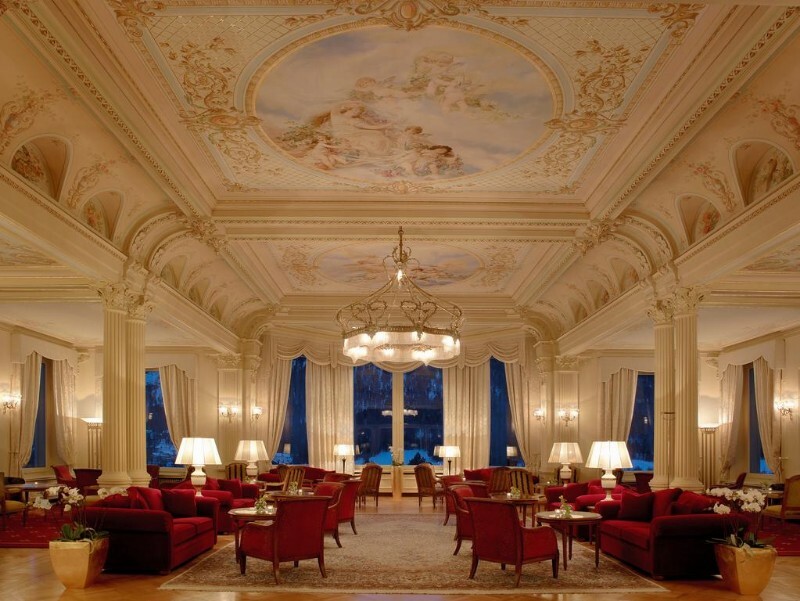 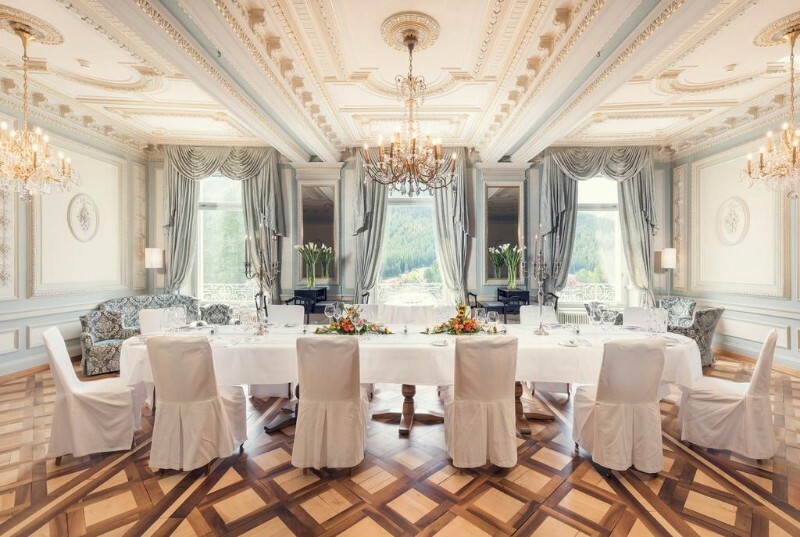 This elegant 19th century neo-Baroque castle, in Pontresina near St. Moritz, Swiss Alps, has long been considered a very special property but never more so than now, in its current form as one of Switzerland’s finest luxury 5 star hotels. 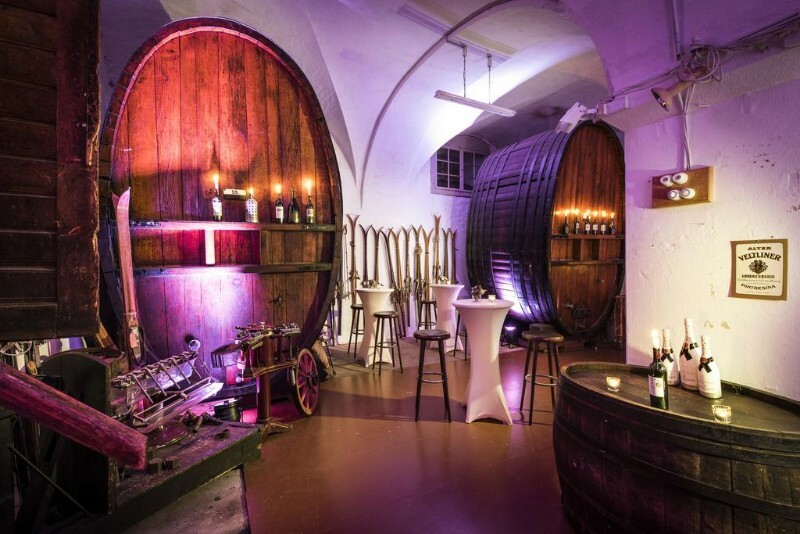 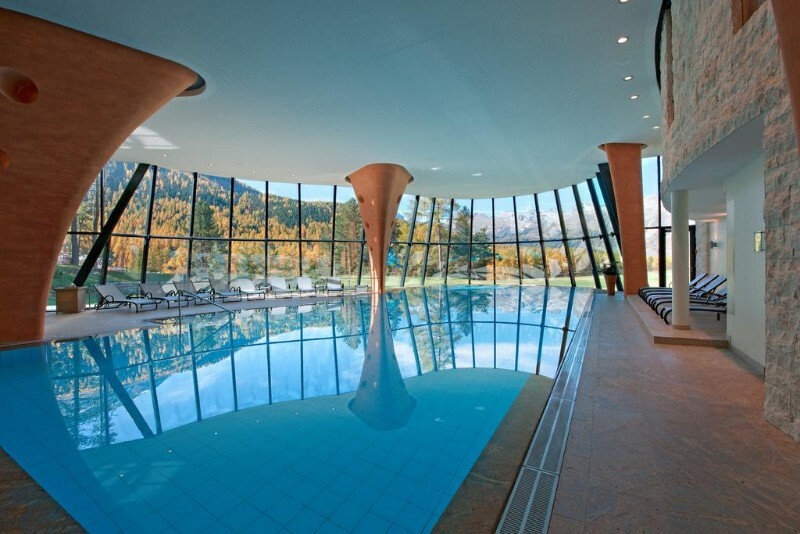 It has panoramic views of some of the country’s most wonderful scenery; the Bernina glaciers and the Engadine Mountains, an award winning restaurant, a luxury spa and a host of other superb facilities. 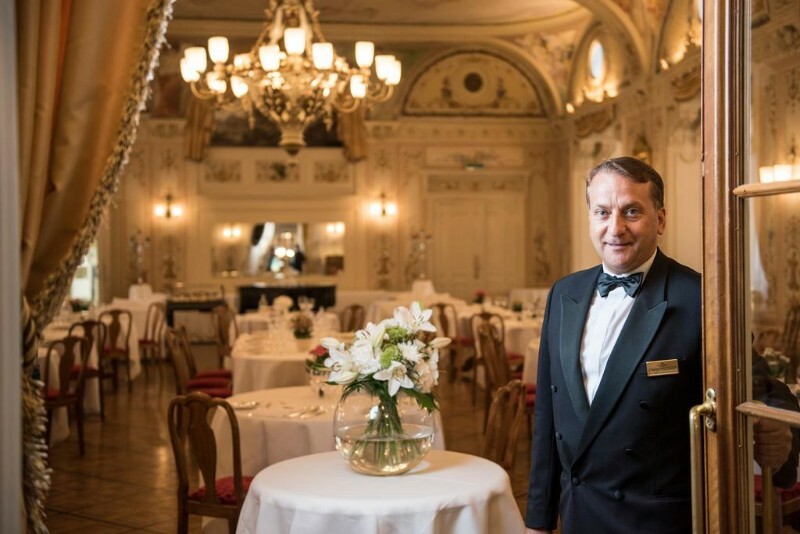 The service here is impeccable and the wonderful staff go out of their way to ensure both adults and children have a smooth, stress free luxury hotel experience in an opulent, distinctly old style, ambience. 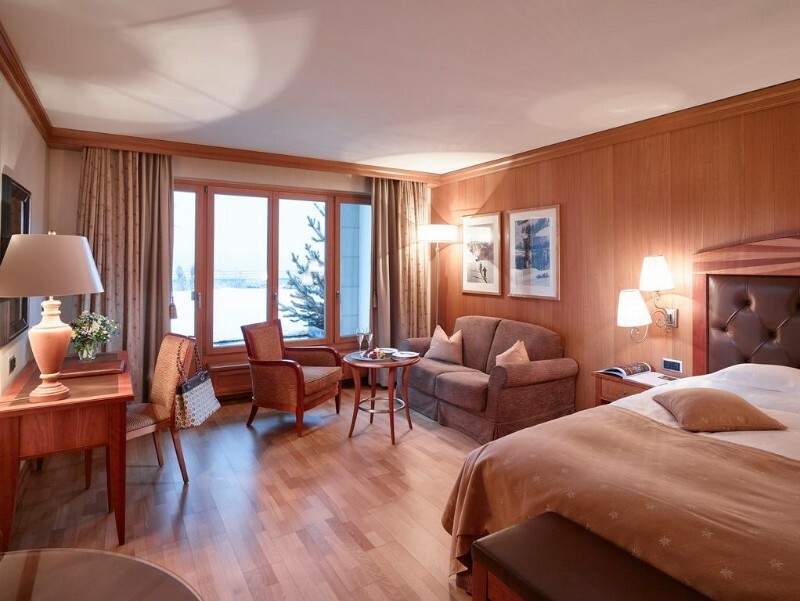 The have a great choice of rooms and suites, 112 in total, from standard singles to the top of the range, 48m², Grand Premium junior suite. 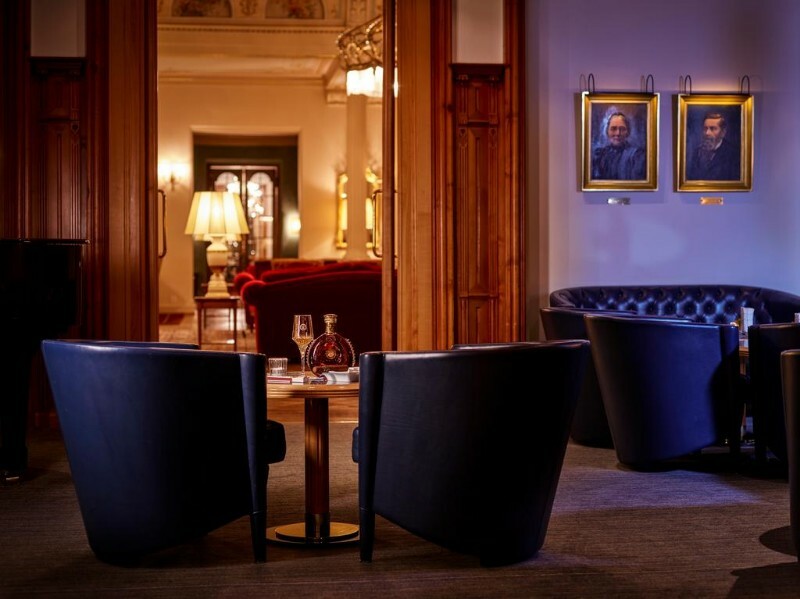 In between are various rooms and junior suites (check your options on the booking page here), consisting of singles, doubles and twins with some of the larger spaces also having a sofa bed to sleep extra occupants. 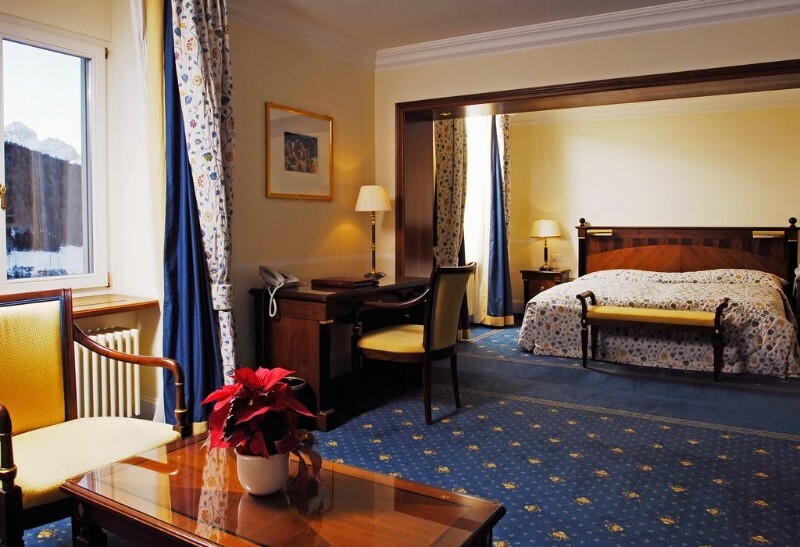 All of them are elegantly furnished and superbly clean and comfortable. 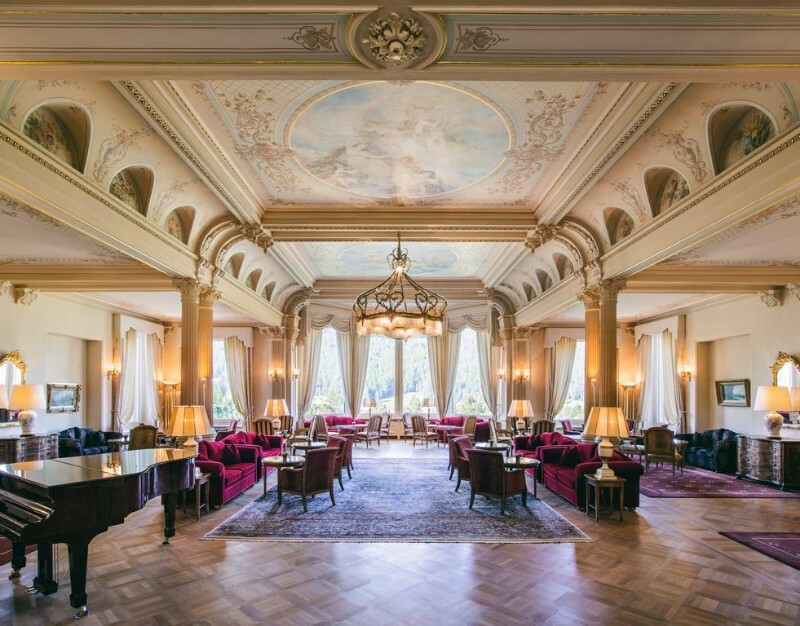 They, along with all of the castle, lack no modern convenience but they still manage to retain a lovely old world feel; to put an era to it one might suggest early to mid 20th century. 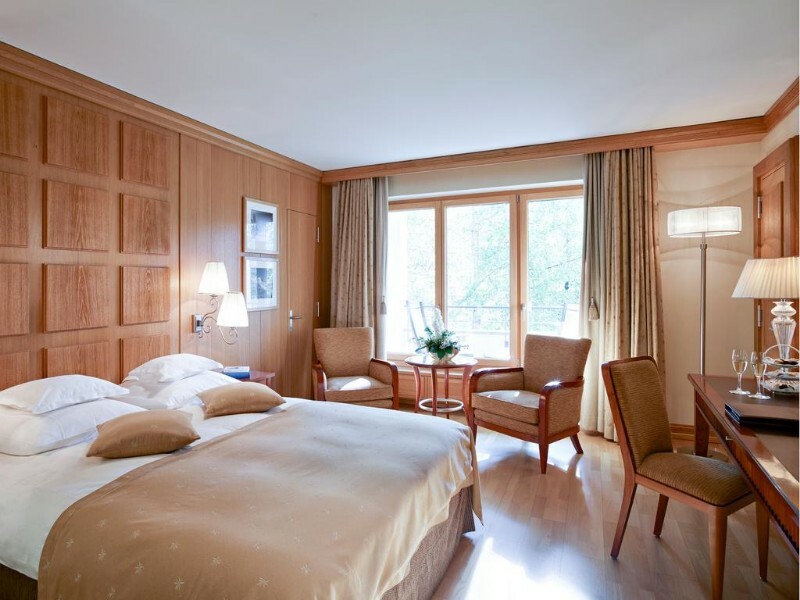 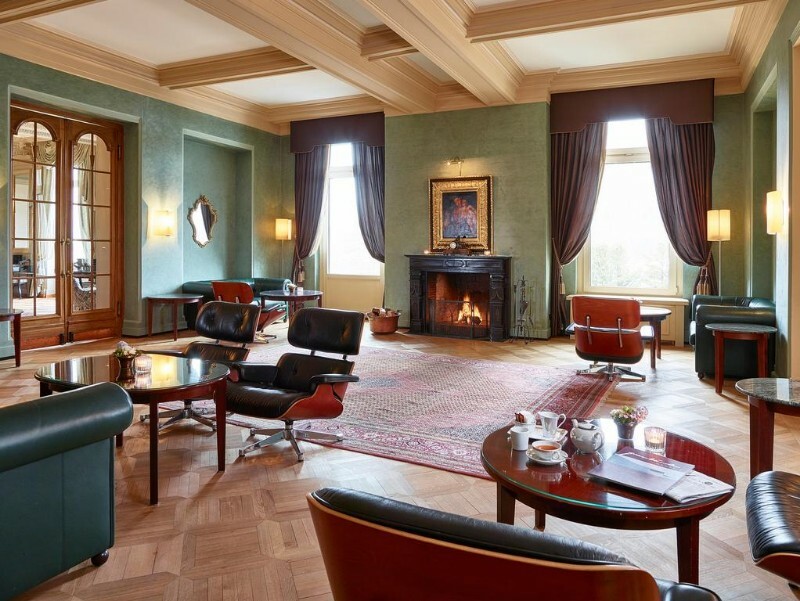 All the rooms are decorated with traditional Grisons ceiling panelling & Swiss pine rosettes, and space is not at a premium in any of them; even the smallest singles will have at least 20m² in space and include a seating area. 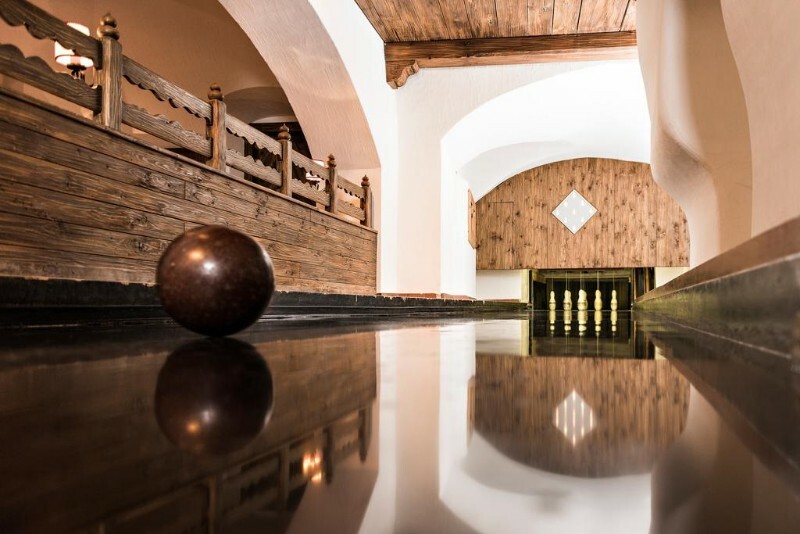 The will in most cases have lovely mountain views, though some of the standard singles and doubles have a courtyard view which, though a very pleasant courtyard, can’t compete with the stunning scenery that surrounds the property. 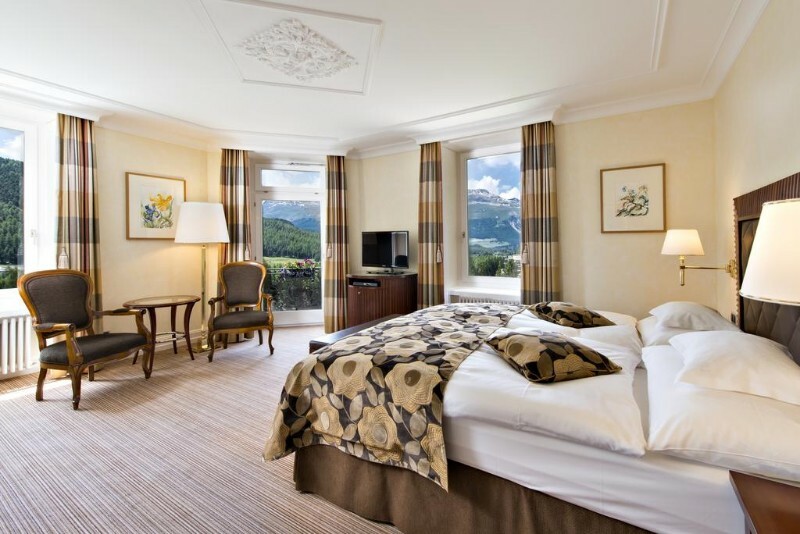 If going for a standard room, make a note on the booking page to request, if available, a mountain view. 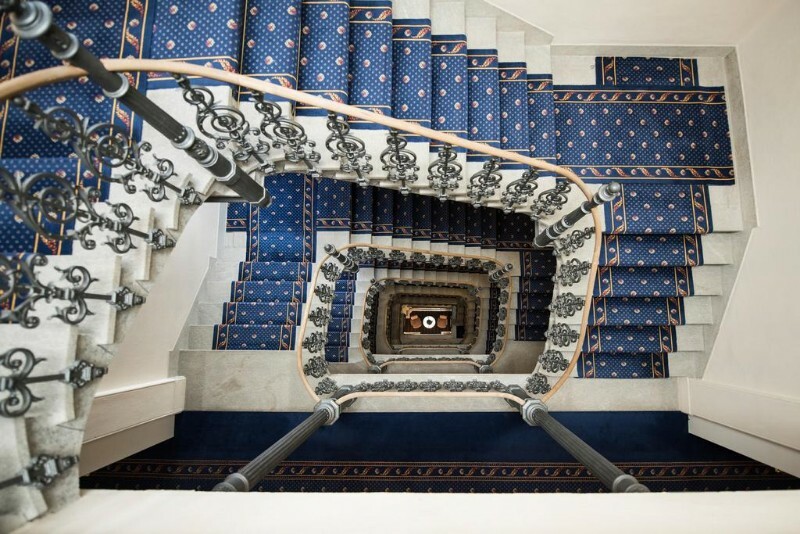 Higher up the chain of rooms though you can be assured of views, and in most cases some outside space in the form of a balcony or terrace. 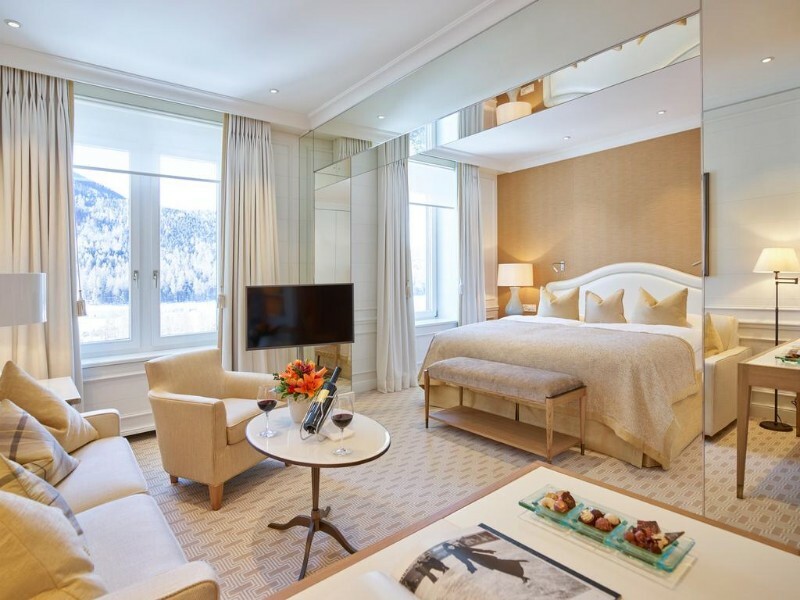 The finest suites are the Grand Classics, all of which have been redesigned in 2016 by the famous French architect Pierre-Yves Rochon. 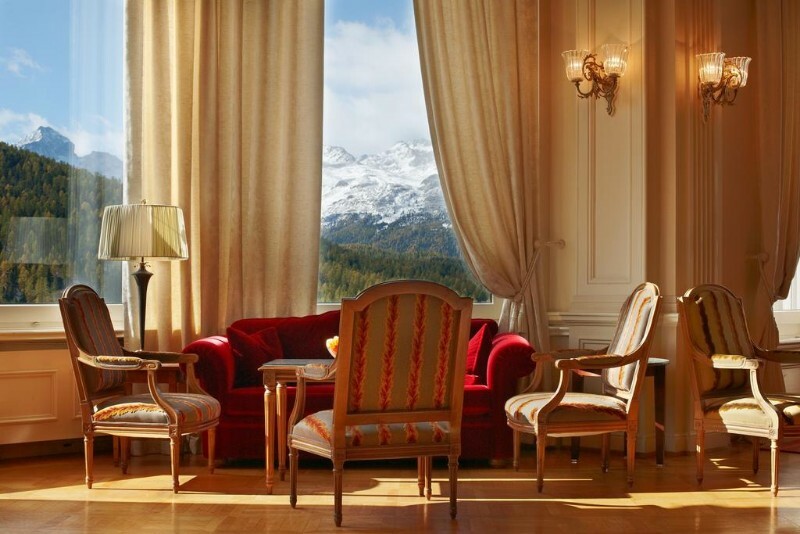 All of the suites, both the Grand Classics & the slightly less opulent Grand Premium have guaranteed views of the mountains and glacier, and will also feature some kind of outside space; a balcony or terrace. 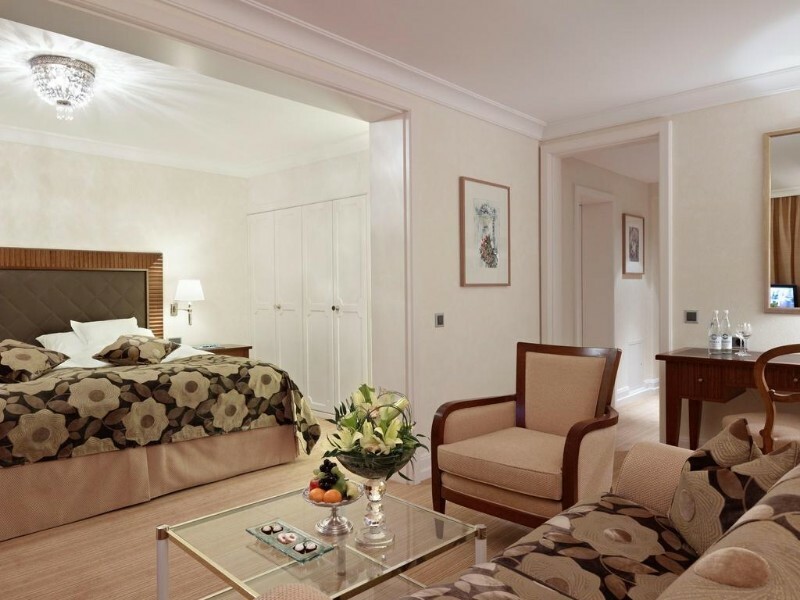 In-room conveniences across the board include wifi, satellite TV, mini bar, safe and some rather plush marble or granite bathrooms with bathtubs, bathrobes and a selection of luxury toiletries. 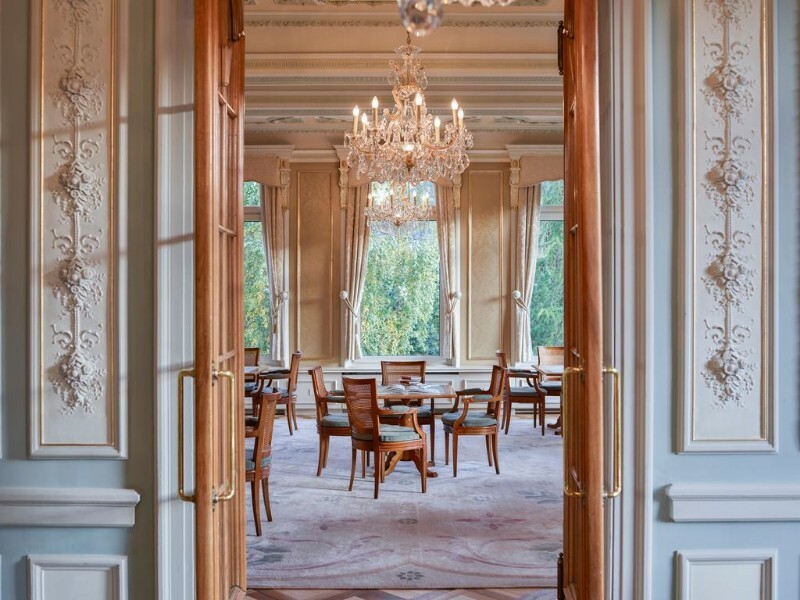 Outside your room or suite you have some excellent facilities to enjoy: The supremely elegant Grand Restaurant (dress code for dinner: jacket or dark suit), is where formal evening meals, and the lavish breakfast, are served. 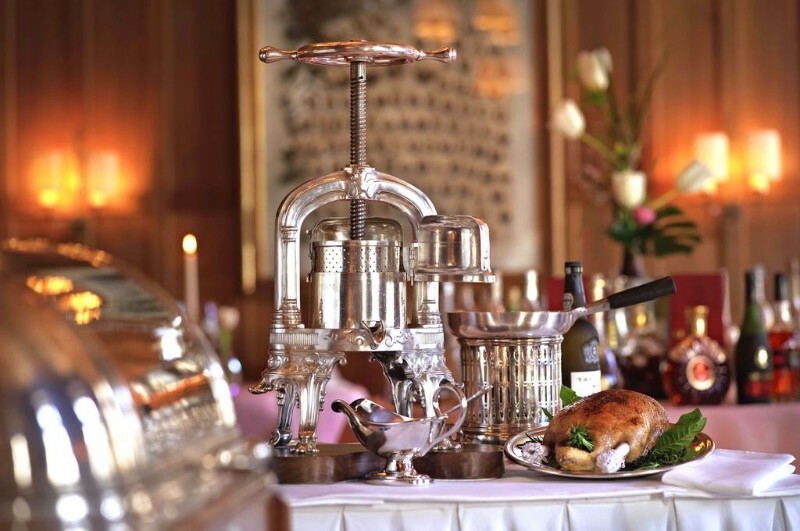 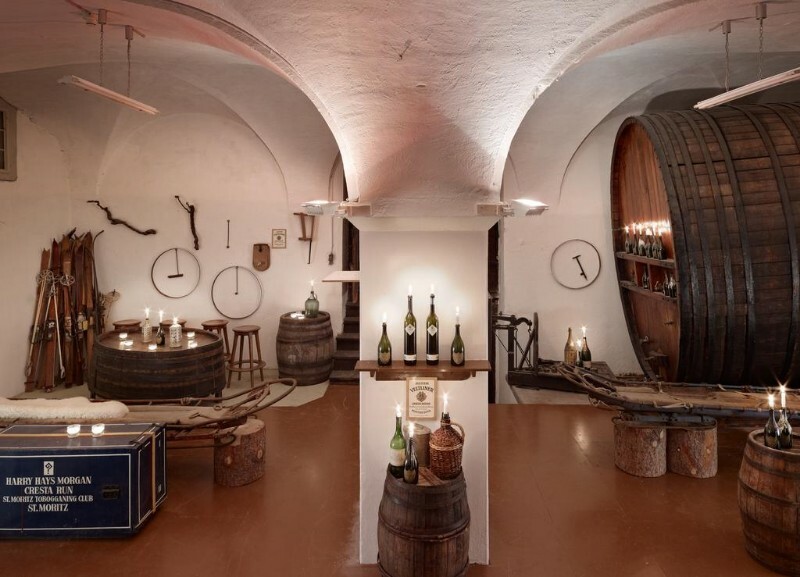 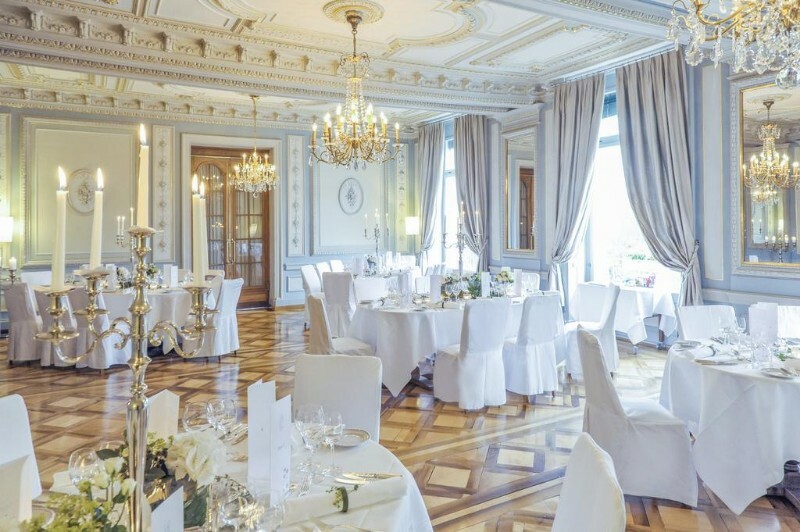 Then there is also the more informal Kronenstübli gourmet à-la-carte restaurant and guests can also enjoy light menus and drinks at the Le Pavillon terrace restaurant and bar. 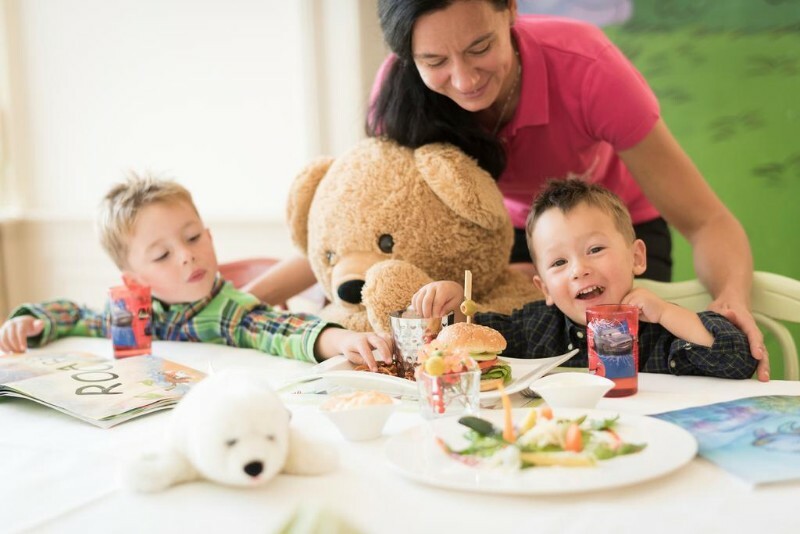 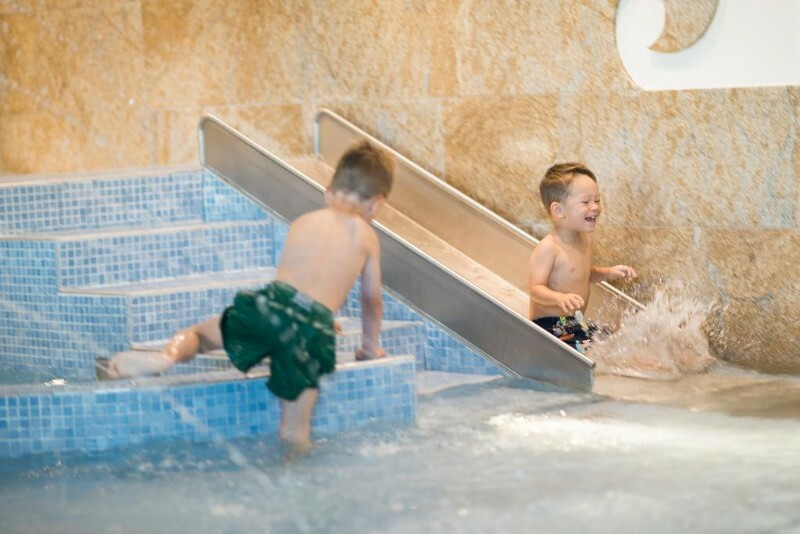 Children, (and in effect, parents) are particularly taken care of at Kronenhof, with a supervised children’s restaurant and a children’s entertainment club at the hotel, allowing adults the time and space to enjoy features like the wonderful spa. 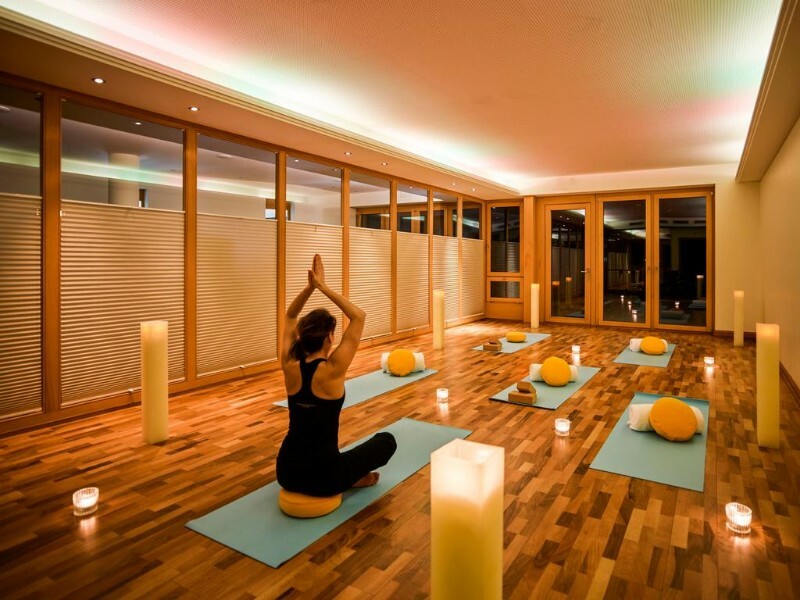 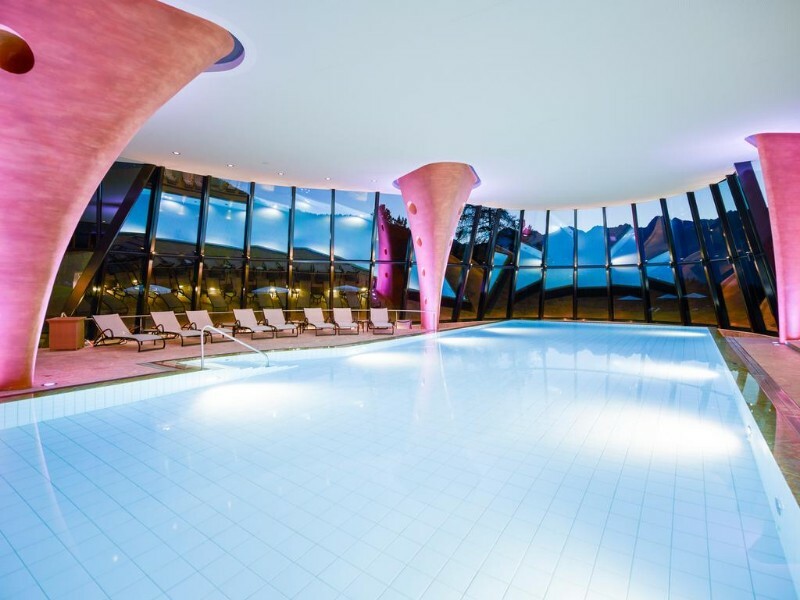 The 2,000 m² Kronenhof Spa has a lavish pool, (and a special children’s pool), a Finnish sauna & bio sauna, a wellness bath area, a stone grotto steam bath, a relax floating-bath, a saltwater grotto, a Kneipp footpath, a relaxation room with fireplace, 13 treatment rooms, a yoga centre, a gym/fitness centre, and all of the above with superb modern state-of-the-art equipment. 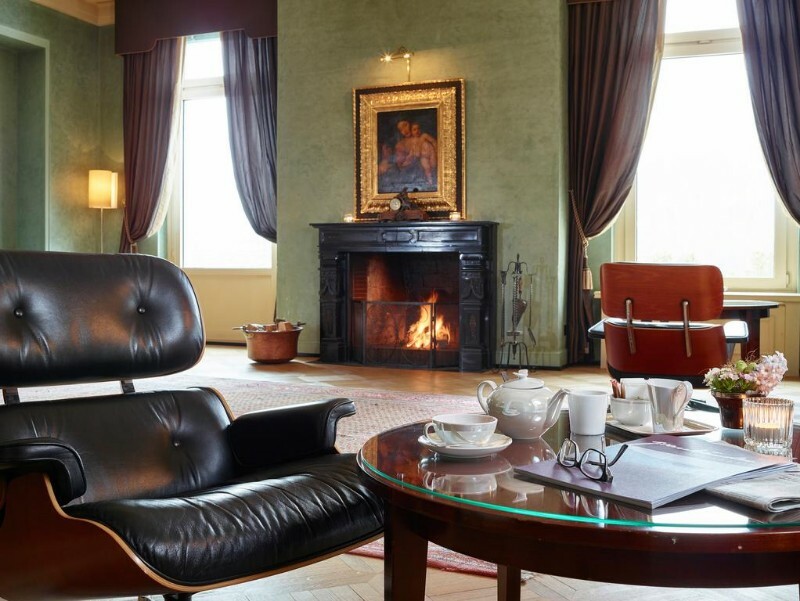 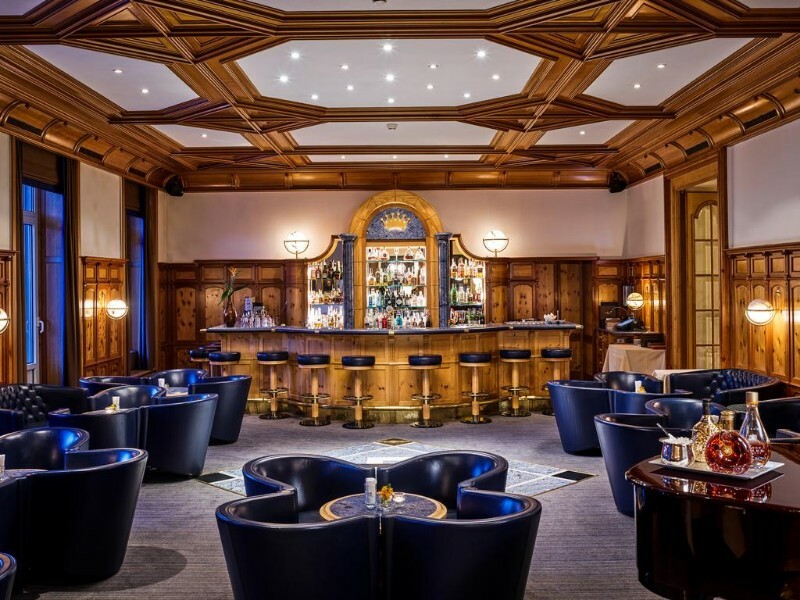 Grand Hotel Kronenhof is in the idyllic Engadine mountain village of Pontresina, just six kilometres from the infamous ski resort of St. Moritz. 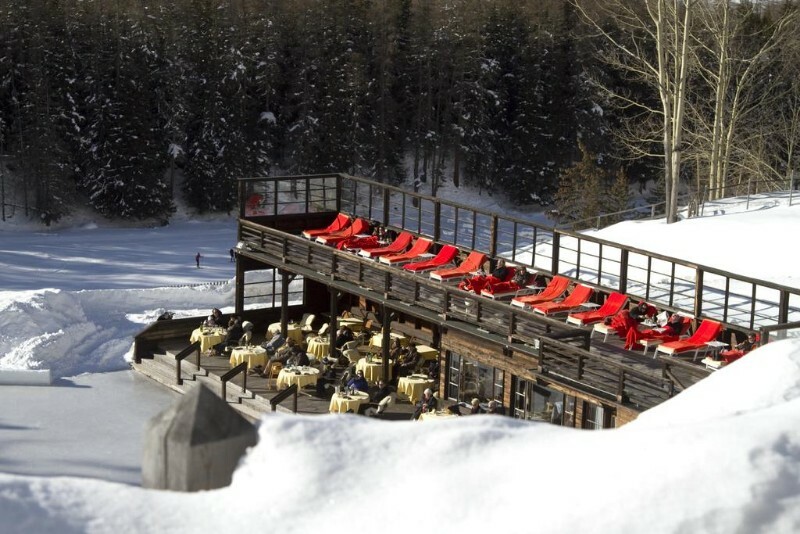 Skiing is of course the number one activity here in wintertime and discounted ski passes can be arranged for hotel guests if staying for two or more nights. 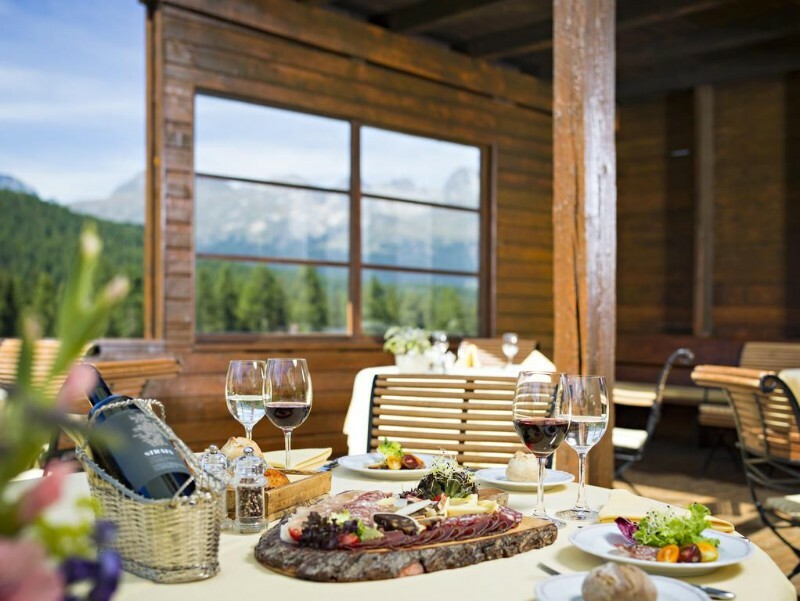 In summer, hiking and mountaineering take precedent and for guests staying 2 or more nights they have the bonus of free passes for all the mountain trains in the Upper Engadine Mountain region. 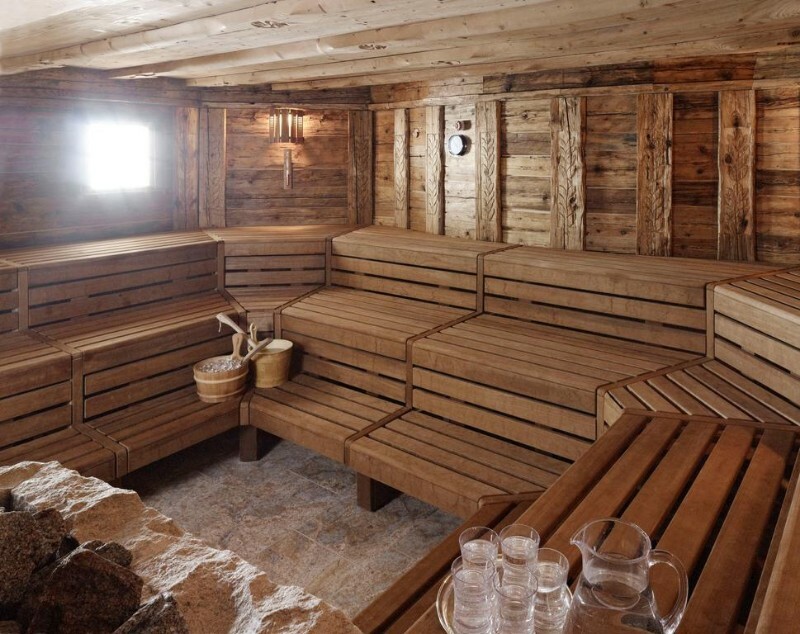 The scenery in this area is absolutely spectacular, with some of Europe’s best hiking trails to be explored. 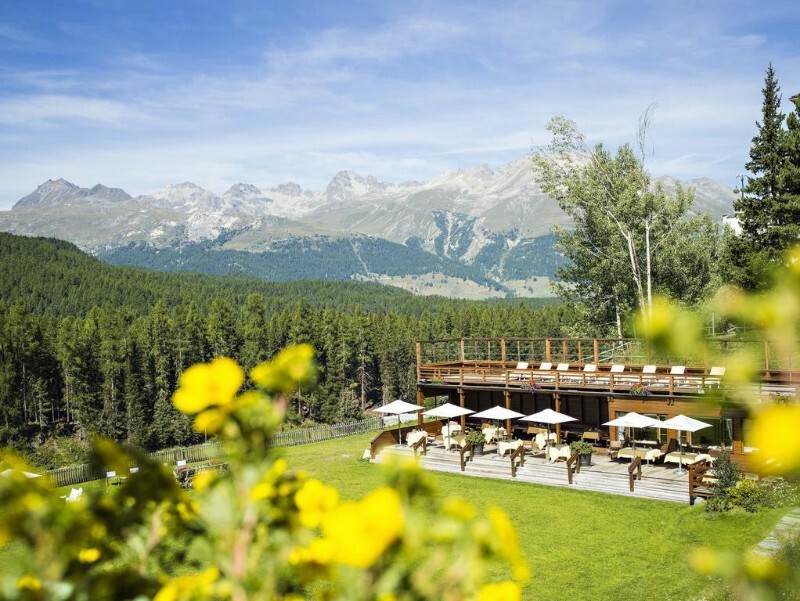 Gold can be enjoyed at the 9 hole Kulm golf club in St. Moritz, one of the world’s most scenic courses. 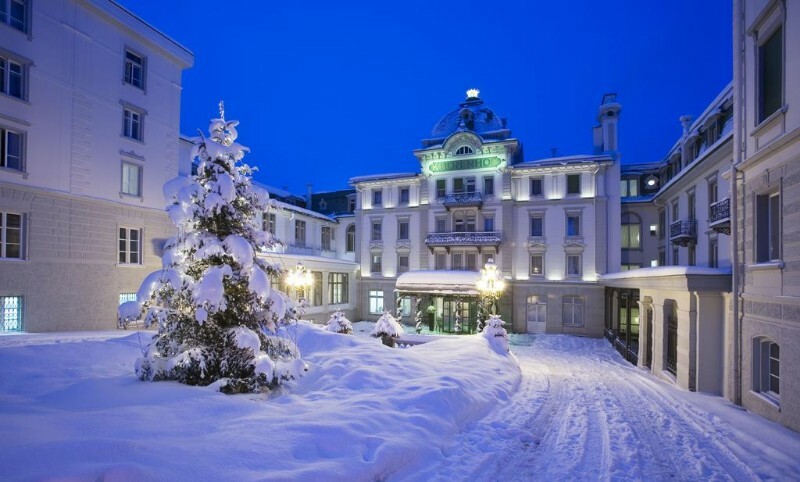 Upscale shopping can also of course be had in St. Moritz but it is also on your doorstep around Pontresina’s famous Via Maistra shopping mile where you’ll find gourmet food shops, luxury gift shops and upscale clothing and sportswear boutiques. 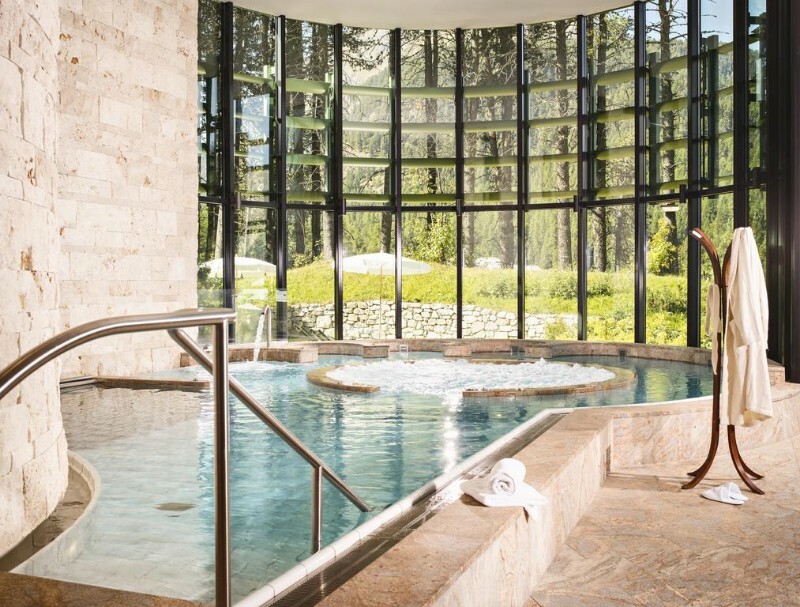 All sorts of tours and excursions can be arranged via the hotel concierge, including things like cycle and horse riding tours as well as limousine transfers to and from local transportation points. 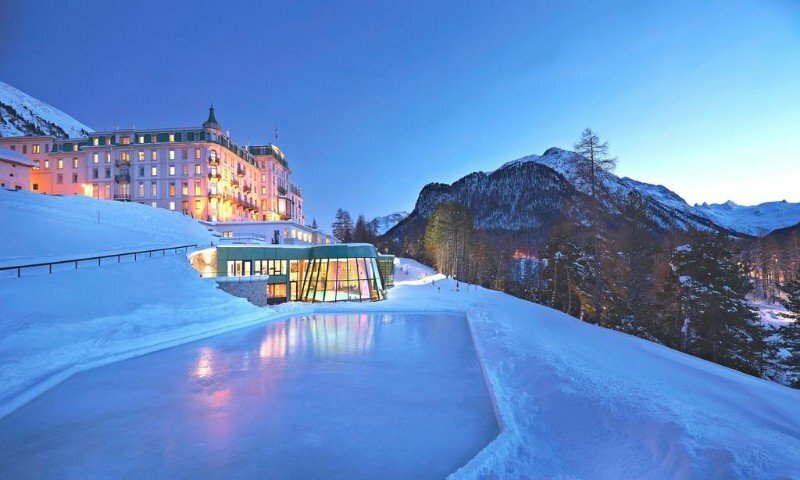 The nearest train station is just a half a kilometer away in the village of Pontresina while the nearest airport is at Lugano less than 100km.